Dequantes Devontay Lamar, otherwise known as Rich Homie Quan, is a rapper hailing from the United States. Signed to Motown Records and T.I.G. Entertainment, Rich Homie draws inspiration from the sounds of dirty southrap, as well as the likes of Gucci Mane, Young Jeezy, Lil Boosie, T.I., Kilo Ali, Lil Wayne, Goodie Mob and Outkast. Since the start of his career in music, Rich Homie has been lucky enough to work with artists such as Birdman, Young Thug and 2 Chainz. 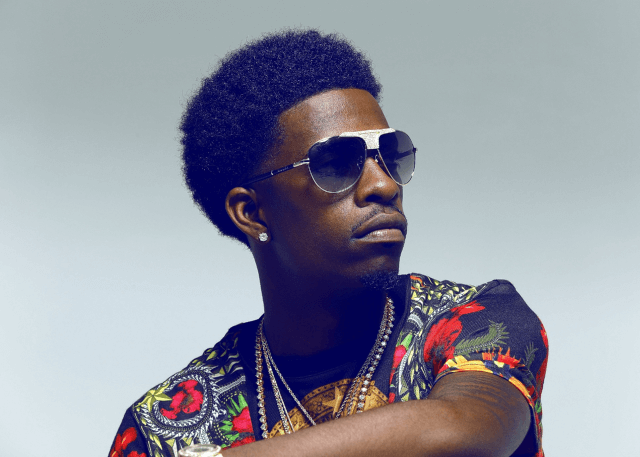 By 2013, Rich Homie started to gain some attention in the industry with his single ‘Type of Way’. The New York Times commented that Dequantes was “part of a rising generation of rappers…who deliver lines with melody and heart, like singers on the verge of a breakdown”. That same year, Rich Homie hit back with the mixtape I Promise I’ll Never Stop Going. Backed by the single ‘Walk Thru’, featuring Problem, the Michigan State Spartans adopted the tune as their anthem and invited Dequantes to join them at the 100th Rose Bowl game. From 2013, Rich Homie continued to drop a succession of highly successful tracks, until the debut album Rich as in Spirit was released in 2018. The album was supported by unforgettable singles ’34’ and ‘Changed’. With a career set to continue rising, Rich Homie is an extremely prolific and exiting new rapper who is worth keeping an eye on.